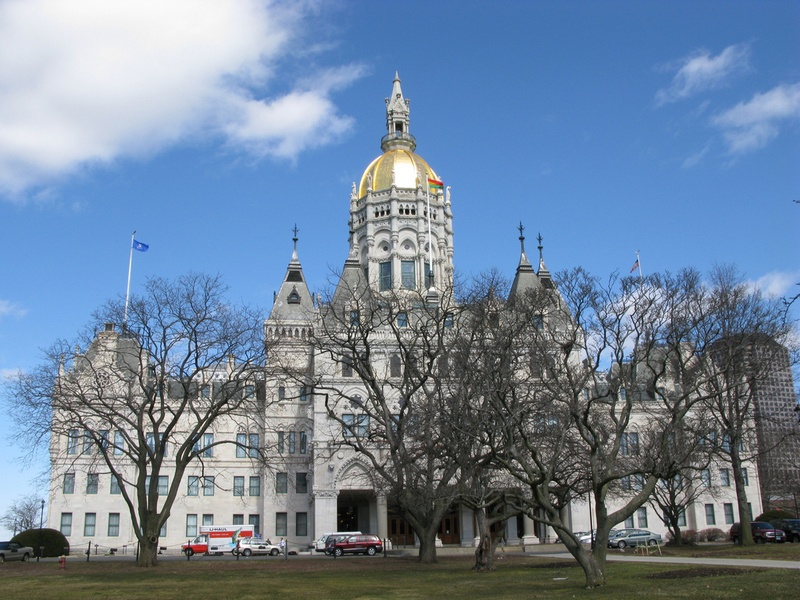 The Connecticut State Capitol in Hartford; photo by Helder Mira on Flickr (use permitted with attribution). 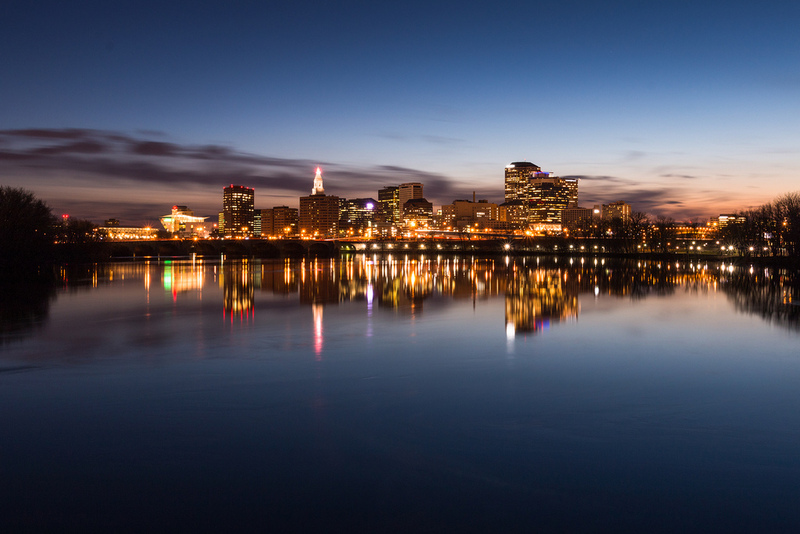 Located along the Connecticut River in the north-central part of the state, Hartford was founded in 1635 and is one of the oldest cities in the United States. Hartford, Connecticut; evening skyline. Photo by ilirjan rrumbullaku/Flickr (noncommercial use permitted with attribution/no derivative works). 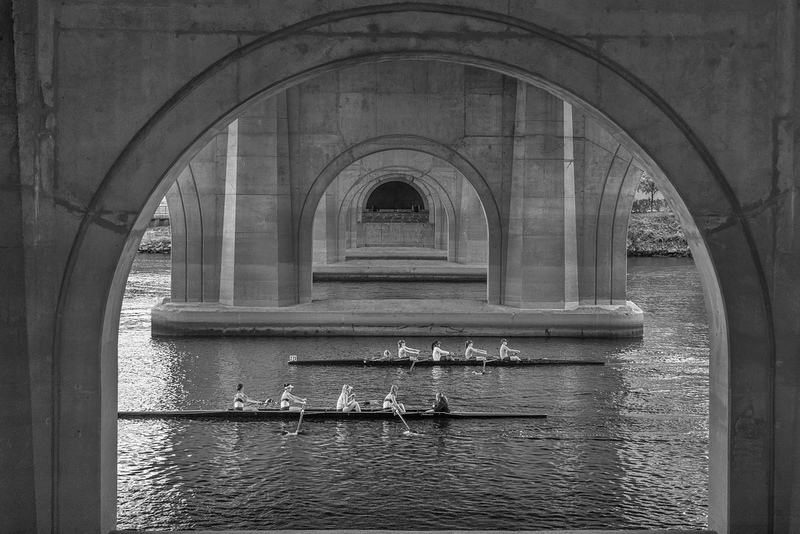 Rowing race on the Connecticut River; downtown Hartford, CT. Photo by ilirjan rrumbullaku/Flickr (noncommercial use permitted with attribution/no derivative works). 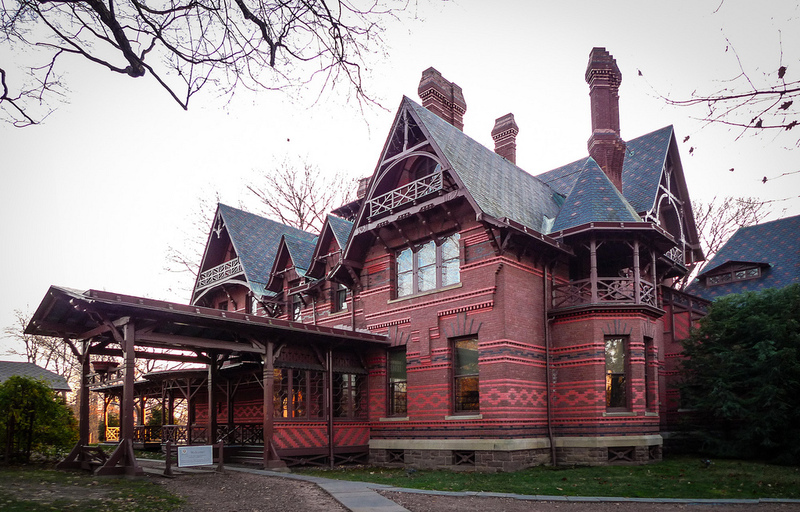 Mark Twain House and Museum, Hartford, CT; on the National Register of Historic Places. Photo by Ken Zirkel/Flickr (use permitted with attribution).